Infinity is one of my favorite words because it conjures up images of the universe, which apparently has no end. It also implies limitless opportunity or nonexistent boundaries. In the abstract sense, there are few, if any, concepts that can compare to infinity. Nevertheless, it is hard to find a place for the concept of infinity outside of mathematical equations. A derivative of infinity that is often used to describe technological achievements is optimal. Unlike infinity, optimality defines the actual attainment of the limit, which is indeed reachable if the boundaries of its extent are clearly defined. The goal of board design is to pursue the optimal or best design within the applicable restrictions and limitations. The same should be true for the printed circuit board (PCB) manufacturing process. As the PCB designer, you have considerable influence over the efficiency of your board’s manufacturing process. 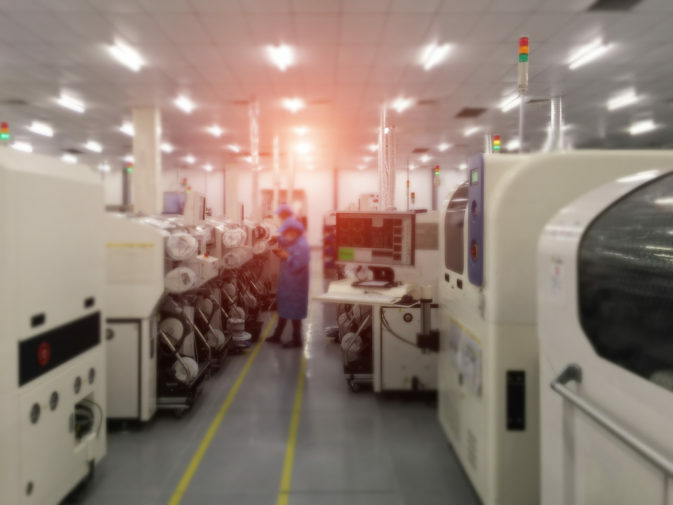 In fact, the degree to which you tailor your design to the capabilities and processes of your contract manufacturer (CM) largely determines the optimality of the PCB manufacturing process. But before outlining a paradigm to reach this goal, it will be helpful to review the PCB manufacturing process and define the boundaries for its optimality. Regardless of the design, the success of any electronic circuit board depends on the PCB manufacturing process, which consists of three stages: board fabrication, component acquisition and PCB assembly. Board fabrication – This is the first stage of PCB manufacturing where the board is constructed. This includes the stackup of layers, etching of traces, drilling of mounting holes and vias, solder mask and silkscreen imaging. The quality of board construction determines the board’s ability to consistently operate in a given environment. Component acquisition – This includes not only obtaining the components but also verifying the accuracy of your BOM. PCB assembly – The is the final stage of PCB manufacturing where components are attached to the board. This stage also includes final inspection and finishing. The PCB manufacturing process is systematic and consists of well-defined steps that result in a physical product that you can use to validate your PCB design. To optimize the PCB manufacturing process, it is necessary to first define optimization in this context. The fact that virtually every PCB design is unique prevents the establishment of exact quantifiers like turnaround time and cost that can be generally applied. 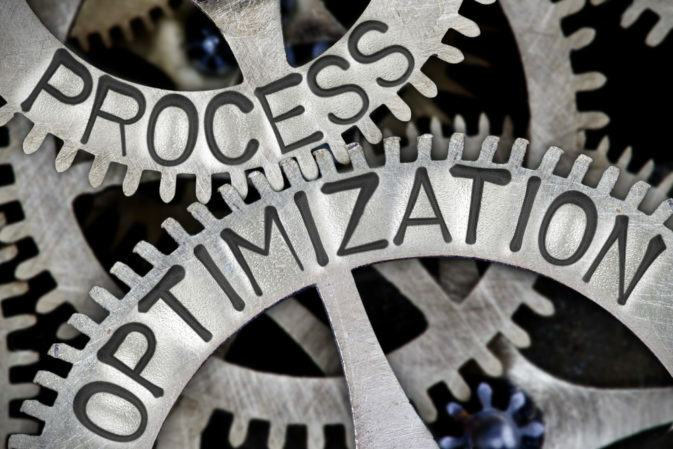 Instead, optimization must be defined in terms of the quality and efficiency of the process. For example, it may take less time to receive the boards for a basic design that includes a delay to replace obsolete components, as compared to a complex design that requires Resistivity of Solvent Extract (ROSE) testing and was completed in the minimum time possible. Of the two, the latter process is clearly more efficient and possibly optimal, while the former is not. Accuracy – how precisely the PCB matches the design. Quality – how well the PCB is constructed. Consistency – no variation among the boards manufactured. Efficiency – how timely the process is with respect to the requirements. The degree to which these qualifiers are satisfied defines the optimality of the PCB manufacturing process. Although your CM manufactures the boards, optimizing the process is a joint enterprise that requires a partnership between you and your CM. Your CM is bounded by the design information and data you provide, while you are bounded by the capabilities of your CM’s equipment and processes. Optimization necessitates that this relationship is open and symbiotic and to achieve the highest level of cooperation, it is essential for your design to employ DFM as defined by your CM. As stated above, PCB manufacturing process optimization can only be achieved by a cooperative effort between you and your CM. To help you engage and build this relationship with your CM, the following checklist may be helpful. Verify that your CM is able to meet the quality control (QC) that your design requires. Verify that your CM is able to accommodate any special requirements, like board type or testing. Verify that the components you select are available to your CM and meet your trustworthiness needs. Ensure that your design includes additions for any design for testing (DFT) that you need CM to perform. Use DRC that is based on your CM’s DFM guidelines and advice. Ensure that your BOM accurately matches your component footprints. Perform thermal analysis for manufacturing during design. Provide your CM with an accurate and complete manufacturing package in the appropriate format; including fabrication and assembly drawings. If you can check off all of the items in the list above, you have made a significant contribution towards optimizing the PCB manufacturing process for your boards. The traditional approach to board manufacture involves completing your design and passing it off to a CM with the hope that it can be manufactured with minimal corrections or changes. But invariably, changes or corrections are needed due to the usage of board specifications that fall outside of the CM’s capabilities or the inability of the CM to meet other requirements you may have. The process is typically quite inefficient and typically results in extended turnaround times and increased costs. However, by choosing the right CM and following the downloadable PCB manufacturing process optimization checklist, you can significantly improve the PCB manufacturing process to the point of optimal. At Tempo Automation, we employ an open transparent “white box” approach to PCB manufacturing. Our objective to fully incorporate your design intent while providing you with all the information and support about our capabilities and processes needed to ensure your design is accurate, your boards are consistent and high-quality and the overall process is as efficient as possible. If you are ready to have your design manufactured, try our quote tool to upload your CAD and BOM files. If you want more information on how to optimize the PCB manufacturing process, contact us.